This section documents important dates and events in the history of the original Globe Theatre by means of a timeline. The timeline compliments the detailed specific history and information provided in the main Globe Theatre section. Theater Timeline takes into account the history of Elizabethan theatre and how this affected the life of William Shakespeare. The history of the old Globe Theatre is a short and turbulent one as the old Globe Timeline will clearly indicate. The success and popularity of Theatre during the life of Shakespeare is an outstanding success story for Theatrical entrepreneurs of the era. The Elizabethan era saw the rise in the popularity of theatres and during this time the staging of plays moved from renovated inn-yards to the building of huge out door amphitheatres, such as the Globe, which were used for the summer seasons and the building or renovation of indoor theatres, used in the Winter seasons and by royalty, called Playhouses. Full details of the growth of the Elizabethan theatre can be accessed by clicking Elizabethan Theaters and Playhouses and the timeline helps to clarify the places and events. All of this started in 1576 as the timeline shows. 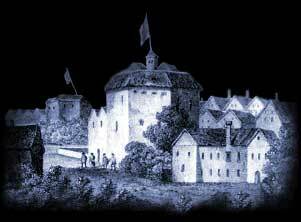 The rise of Theatres start in 1576 but by 1648 theatres and playhouses were ordered to be pulled down, all players to be seized and whipped, and anyone caught attending a play to be fined five shillings. What events took place to lead to such a reverse of fortune for Theatres? What happened? The timeline and history provides all of the answers. This site contains many other sections complete with a specific timeline - please refer to the site map for further details of all Shakespearean and Elizabethan history and timeline information. Inn-yard. The Swan is located as their temporary winter venue. 1598 Shakespeare is mentioned as "a principal comedian." 1600 Richard Burbage is forced to lease out Blackfriars. 1603 Shakespeare acted in Jonson's Sejanus and is mentioned as "a principal tragedian." 1603 May 19, The King's Men acting troupe forms. again. But the Globe Theatre is never re-built. The site of the old Globe theatre was rediscovered in the 20th century and a reconstruction of the New Globe Theatre has been built near the spot. This section features an unusual picture of the stage and a Timeline charting the building. This site contains many other sections complete with a specific timeline - please refer to the site map for further details of all Shakespearean and Elizabethan history and timeline information.